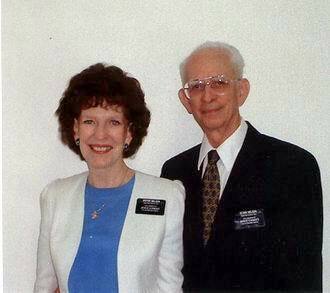 Elder A. Tom Nelson was born in Cottonwood, Utah, to Irvin T. and Kathleen B. Nelson. He married Nadine Rutherford, they are the parents of four children. They are members of the Cottonwood 14th Ward, Salt Lake Big Cottonwood Stake. Elder Nelson has previously served in many Church callings including as bishop, a counselor in a bishopric, ward mission leader, and as a member of a High Council. He is a Certified Public Accountant and an emeritus professor of accounting. Sister Nadine Nelson was born in Salt Lake City to Verl L. and Elva Mary Lythgoe Rutherford. She has also served in many church callings including Stake Young Women’ Board, stake Relief Society board, stake missionary and as a member of the Mormon Tabernacle Choir. The Nelsons previously served as missionaries at the Washington Temple Visitors Center.